Cuban born RF Yasiel Puig has quickly emerged as one of the most exciting and brash stars to hit baseball in years. After leading the Los Angeles Dodgers to the postseason, once he was called up midway through 2013, Puig was voted a starter, in his first All-Star Game, last week in Minnesota. 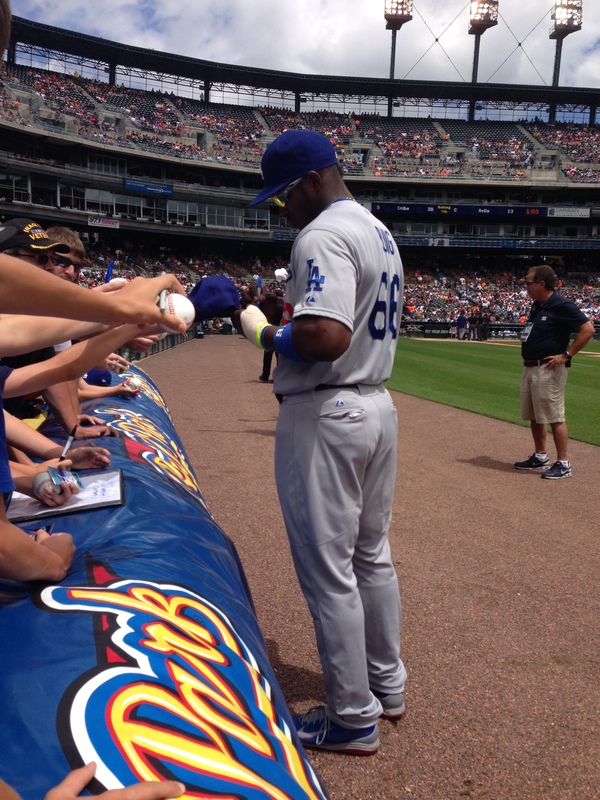 Shortly before the Mid-Summer Classic, iFolloSports.com Michigan based contributor Lance Martinez captured the above original photo of Puig, interacting with fans, prior to a game against the Tigers, at Comerica Park. Puig fans can also check out this iFolloSports.com original video and story of Puig signing autographs, last year in San Diego.